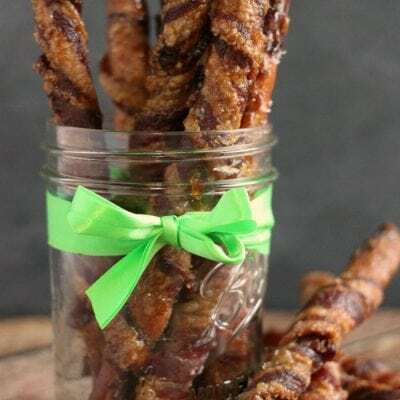 Bacon Wrapped Pretzels are the perfect treat for gifting and eating! 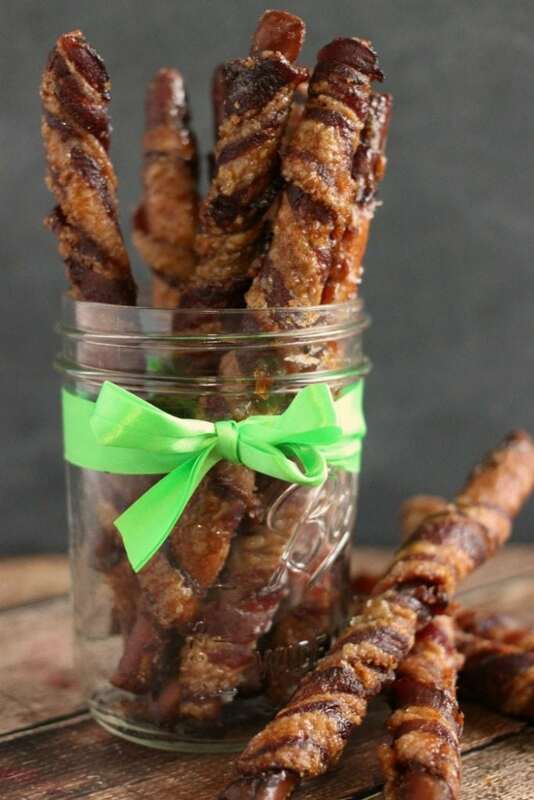 Bacon Wrapped Pretzels are simple to make and a great welcome neighbor or holiday treat gift. Make them alongside our peanut butter cookies, nutella cookies, and gluten free oatmeal cookies for the ultimate goodwill package! 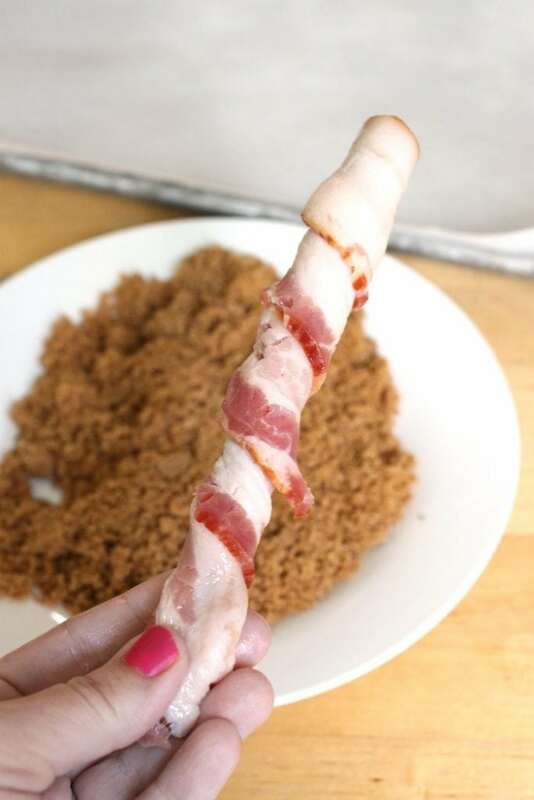 Pretzel Rods – We like to use salted pretzel rods for this recipe. 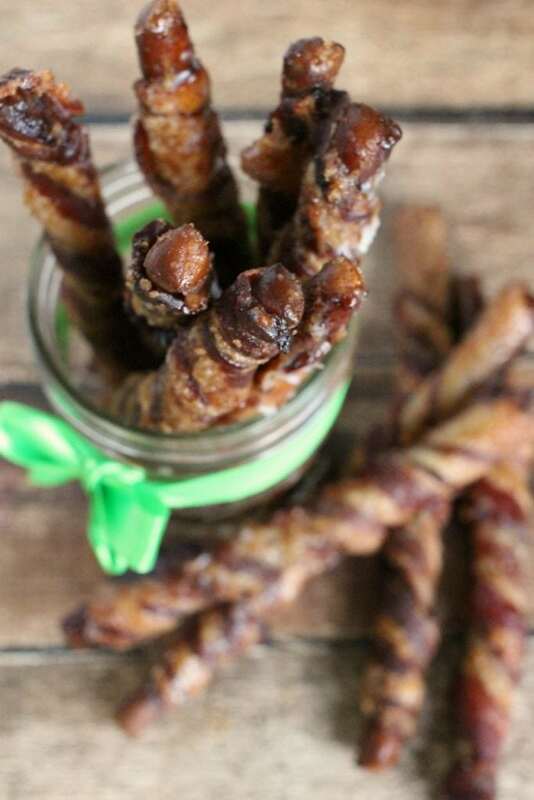 Thick Cut Bacon – Wright Brand Bacon is our choice for these Bacon Wrapped Pretzels. 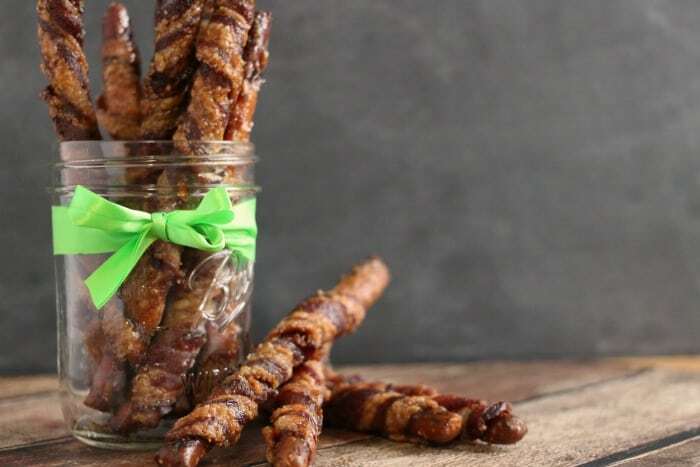 Brown Sugar – Brown sugar + salted pretzels + thick bacon = yummmmm. Someone recently told me the bacon fad was on it’s way out. And I laughed and I laughed and I laughed. Uh, hi. 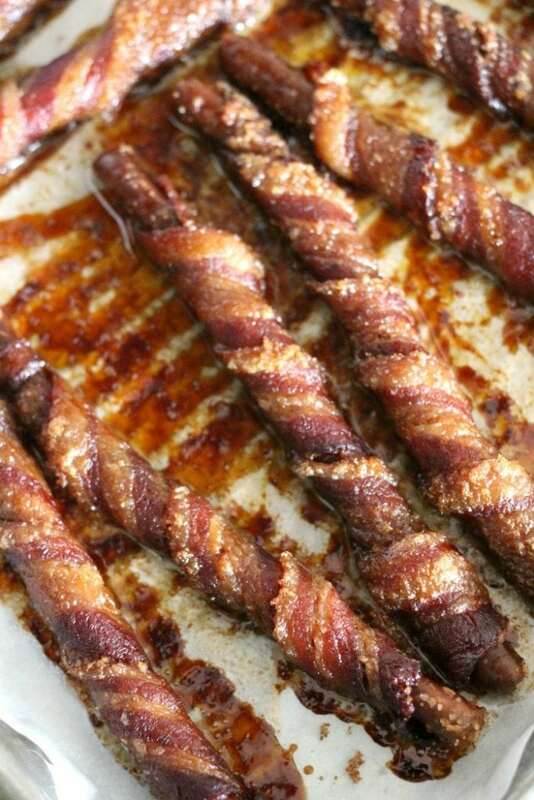 Bacon’s not a fad and it’s definitely not going anywhere. Unless we’re talking about my mouth. It’s totally going in my mouth. 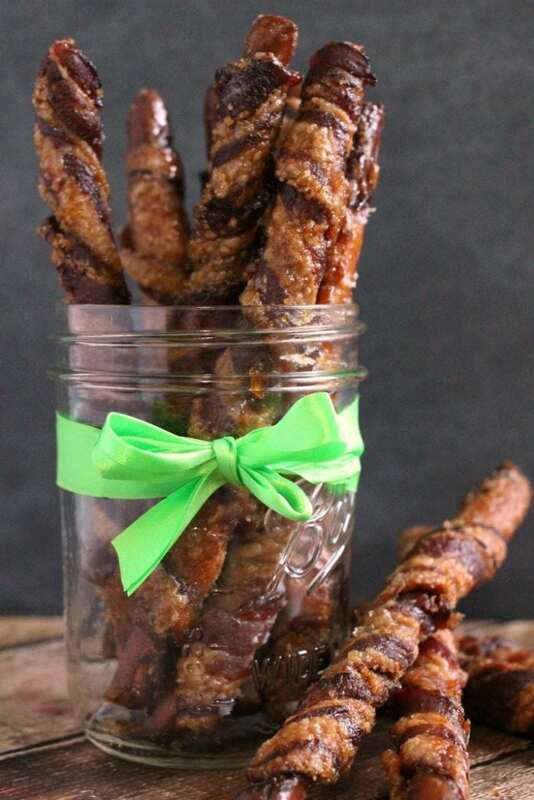 These Bacon Wrapped Brown Sugar Pretzels are my newest bacony obsession and they’re soooooo yummy. Also, totes easy to make. Yay! 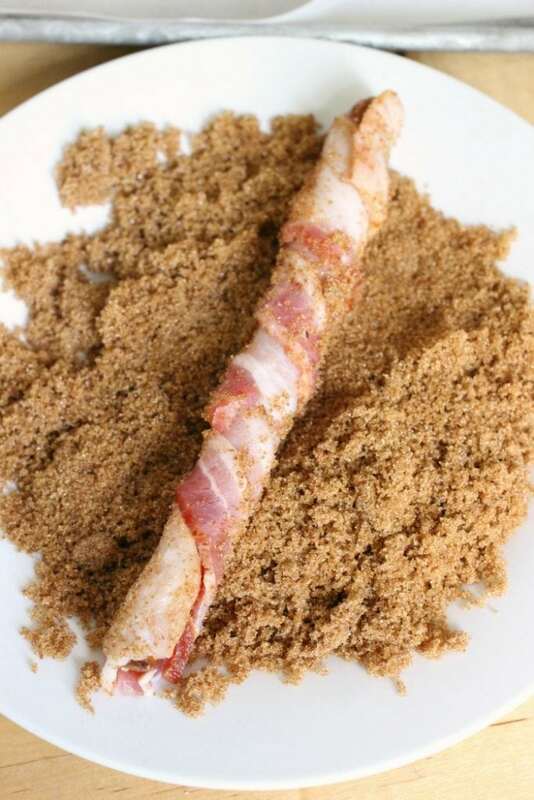 First, wrap pretzels in bacon, then sprinkle them lightly with brown sugar. Next, place them on a parchment lined baking sheet and put into a cold oven. Then, turn oven on and allow pretzels to cook until you reach desired consistency. Finally, remove from oven and *carefully* place on a cooling rack (they will be limp at first), let the excess oil drip off and allow them to cool and set. You only need three ingredients and about seven minutes to get these going. They take a while in the oven, but the actual prep work is a total breeze. 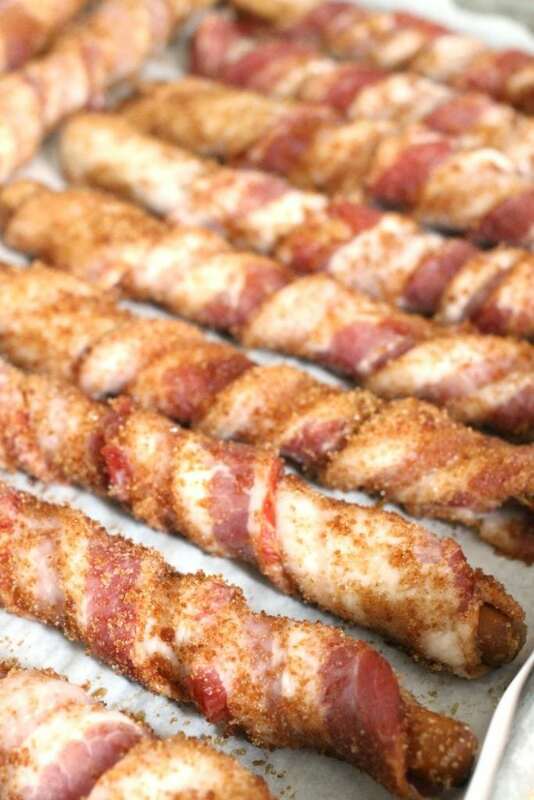 I used long pretzel rods, but you could also use the shorter ones and just cut the bacon strips in half. Thick cut bacon is the best. Mmmmmmm… we don’t buy anything else in our home. 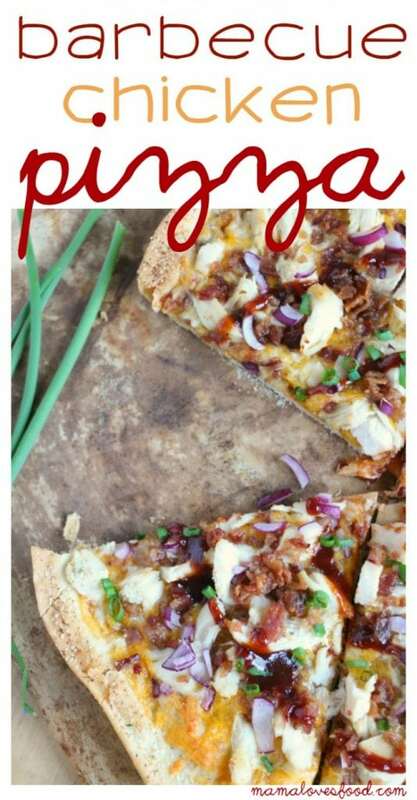 For this recipe I chose Applewood Smoked Wright® Brand Bacon. We love that you can pick it up at Publix in 1 1/2 pound packages. 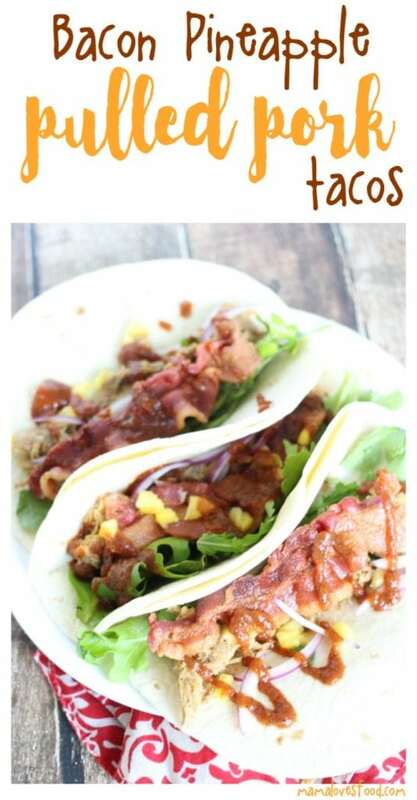 Perfect for a bacon loving family like ours! 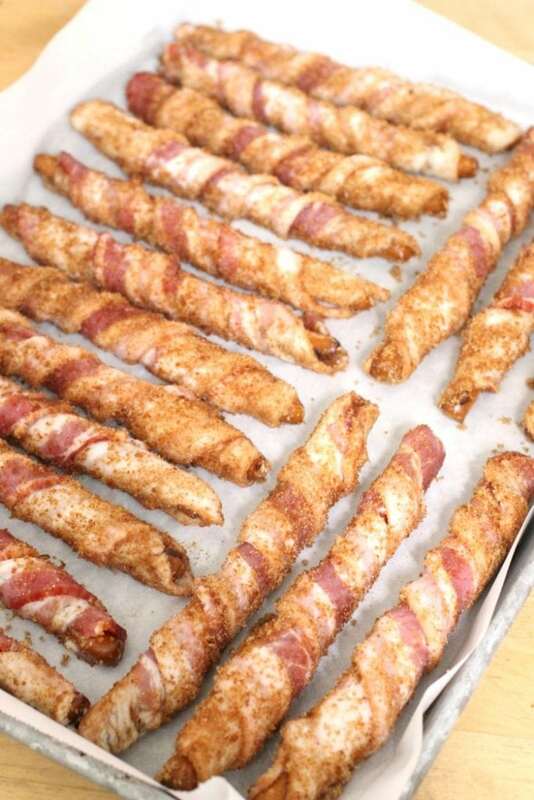 When they first come out of the oven your bacon pretzels will be soft – don’t worry as they set they will stiffen. Depending on how well cooked the bacon is will determine just how stiff. My family likes it with a little chew to them. Mmmmmmm. Let’s just get this out of the way now. I’m happily married. I know, I know. I’m sorry. But I’m sure you’ll find a lovely partner to make these for you one day. Or you know. Make them yourself and then woo the person of your dreams! We love Wright Brand Bacon because it’s masterfully crafted for a richer bacon experience, thick-sliced (yassssss), hand-selected & hand-trimmed, naturally smoked with wood chips, the best cuts of premium meat, and high-quality. Also, I can get it at Publix in the breakfast meat section. Sooooo convenient! 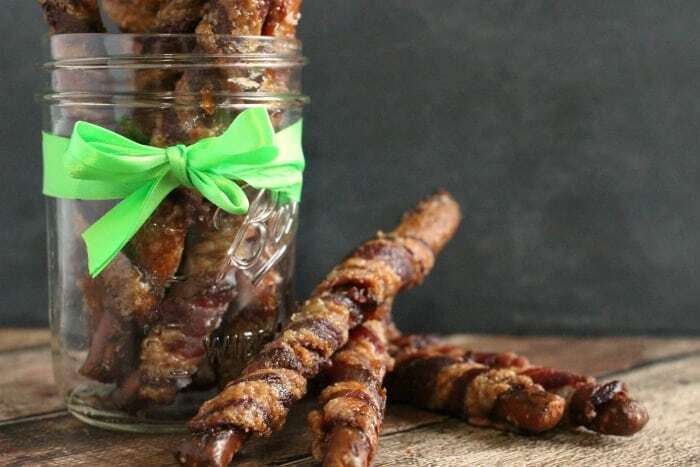 It comes in multiple flavors too, including Hickory Smoked, Smoked Brown Sugar, Bourbon Barrel Smoked and Oak Barrel Smoked.Be sure to #VoteWrightBrandBacon and cast your vote for your favorite bacon pairing. 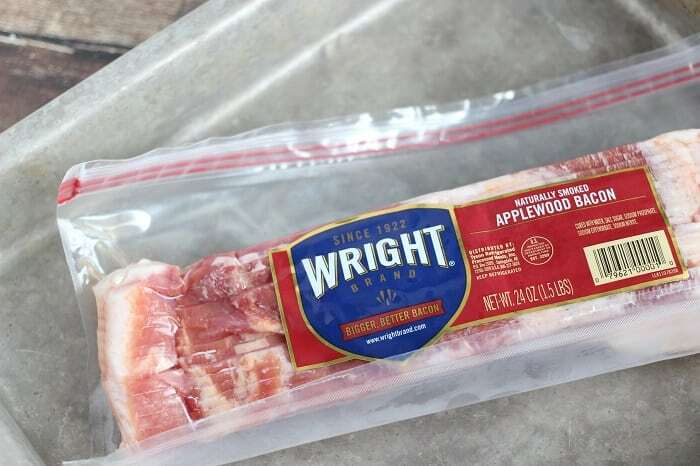 Wright Brand Bacon is definitely Bacon the Wright Way™. 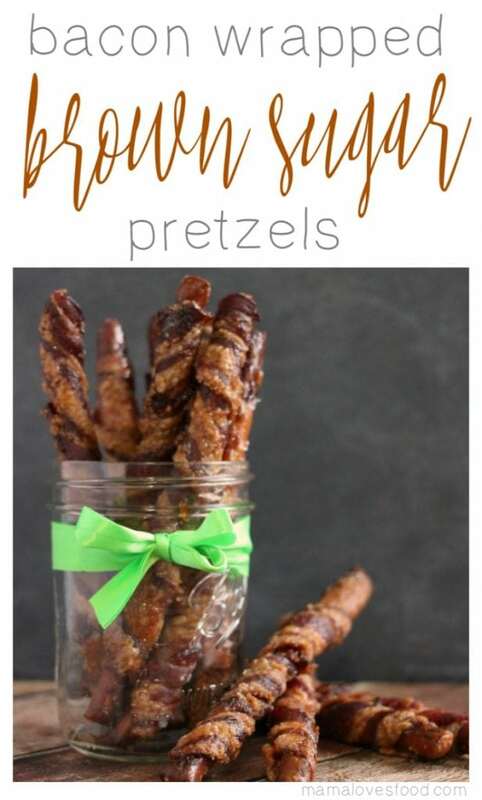 This is a sponsored post written by mBacon Wrapped Pretzels are the perfect treat for gifting and eating!e on behalf of Tyson Foods, Inc. All opinions are entirely my own. 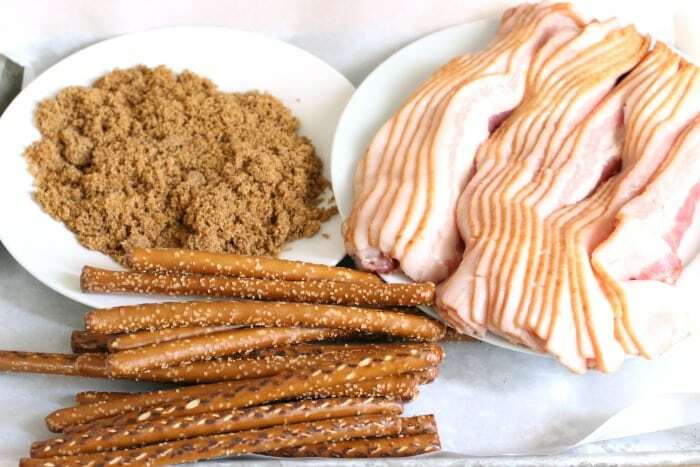 Wrap pretzels in bacon, then sprinkle them lightly with brown sugar. 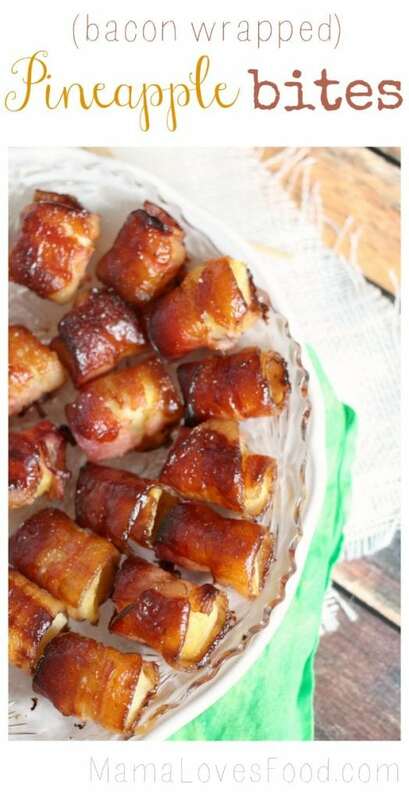 Place on a parchment lined baking sheet and put into a cold oven. Turn oven to 250 degrees and allow pretzels to cook for 2 - 2 1/2 hours (depending on how crispy you want them). Remove from oven and *carefully* place on a cooling rack (they will be limp at first), let the excess oil drip off and allow them to cool and set. Turn oven to 250 degrees and allow pretzels to cook for 2 – 2 1/2 hours (depending on how crispy you want them).